Ok, can we get serious here? What the hell are we so afraid that we won't call it like we see it? The emperor and all his tea party-birther-bachman-palin-beck followers have no freaking clothes. They are running around intellectually buck naked. And more than that, they think they are clothed in the finest silk and linen. Our leadership is afraid to say what we all know to be true. Now the thing is, it isn't a debate, we can't discuss with them. We don't have to answer their charges and show our long form birth certificates. In fact we have to STOP doing things like that- because- you know what?- THEY ARE CRAZY. Seriously. 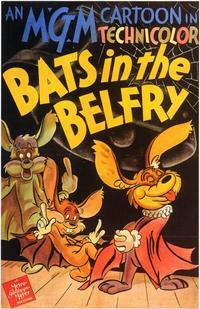 Bats in the Belfry Crazy. We can't reason with them. And with the exception of maybe DocBopper if he is still hanging around here somewhere- we are NOT qualified to try to intervene and to deal with their mental health issues. Nor can we just look the other way- That is cruel. Letting someone hurt themselves and others in their craziness is just not right. But stop trying to explain to them why what they are saying makes no sense. It makes no sense because there is something wrong with these people. They are ill. I recommend that we all gather a list of mental health professionals, or web links of where we can send our crazy relatives or coworkers who suddenly start quoting Orly Taitz. Or on the left- the guy who sends you videos about "controlled demolitions." These folks need help. They need it now. When you hear them start- when they send you an email... You should respond simply by saying "you are crazy and you need help." Dear (nutty family member or annoying co-worker), Thanks for your mail but quite honestly I am worried about you. Your ideas are pretty insane and if you really believe this stuff I recommend you go here http://store.samhsa.gov/mhlocator just type in your zipcode and go see someone. I say this because I really hope you can sort things out and later join us in the reality based community. Until then, please, I am not interested in (insert here any of these-- 9/11 truther info, Birthed BS, Libertarian Nonsense, Why I should buy gold, your ideas that the market will regulate itself, etc. etc.) If you want to write me about the weather, or sports, fine. Otherwise- thanks but no thanks. In any case- call it like you see it. It makes no sense, it is never going to make sense and you cannot change their minds. So just step away from them, slowly. Don't run though- it makes them chase you.